Coming in hot with Amazon Finds part 2! Sharing all of the details on my recent try on (saved on my Amazon highlight on Instagram). 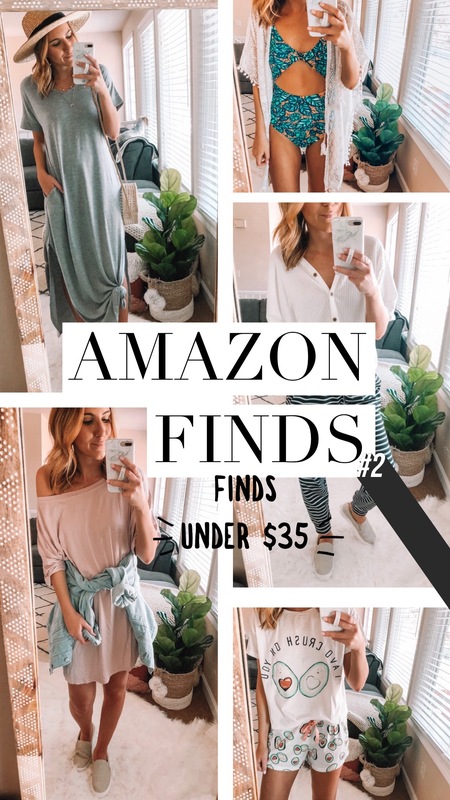 Scroll down to get all of the details on some of my favorite Amazon finds under $35! Including sizing, color and price! Check out part 1 here. Dress (Size: Small // Color: Grey // Price: $25 ): This dress is one of my all time favorite Amazon finds! I love it so much I own it in a few different colors! 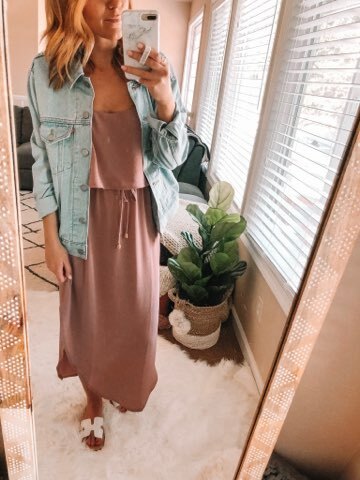 This is one of those perfect dresses that can be thrown on for running errands or dressed up for date night. I would even wear this comfy cutie in the classroom. 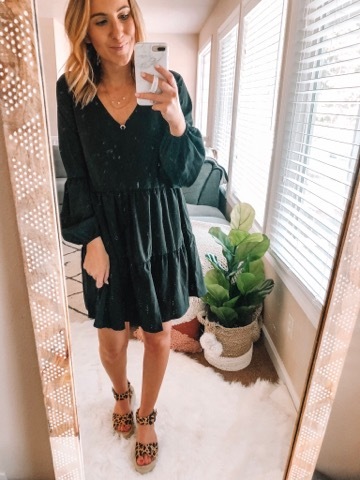 Dress (Size: Small // Color: Black // Price: $17 ): I’ve recently been on the hunt for great dresses that I can wear in and out of the classroom. This breezy tiered mini is a total steal and perfect for work or play! What I love about this mini is the sleeves, tiered hem and the length. It’s not too short to wear to work. This dress comes in a few different colors and I wouldn’t mind adding all of them to my wardrobe! 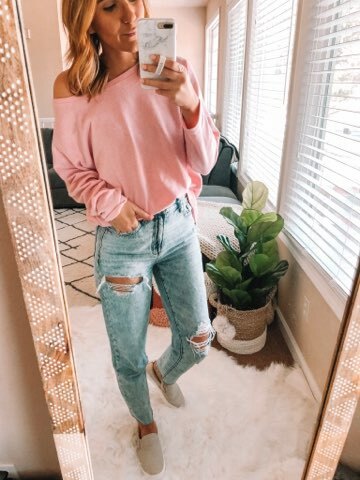 Top (Size: S 2-4 // Color: Pink // Price: $18 ): I shared this top in grey in the last Amazon haul. I had to get it in this fun pink color because this top is the BEST! This top is longer in the back and is actually on the thicker side. 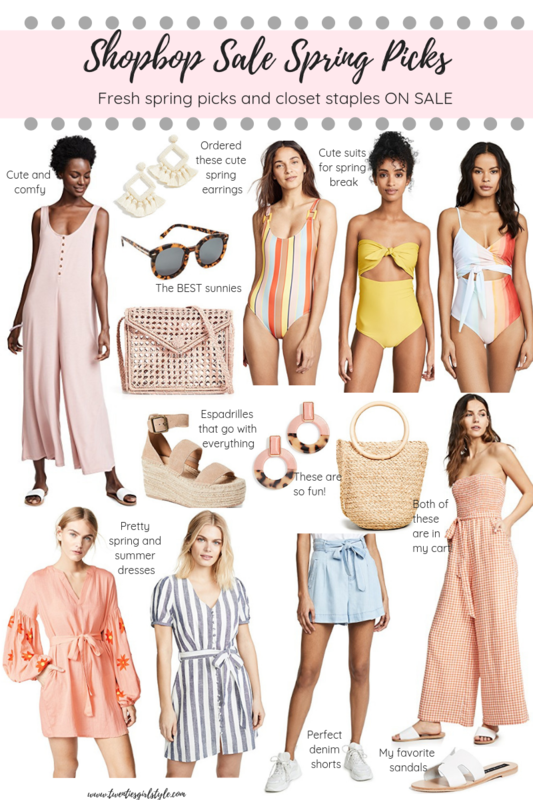 I love that it can be paired with jeans or shorts and can’t wait to wear it as a swimsuit coverup this summer! Top (Size: Small // Color: Apricot // Price: $22): I was blown away by the quality of this top when I got it! It’s another one that’s made of a thicker fabric that feels like it should cost double the price! This one is a bit large…I got a small and would have gotten an XS if available. Although it runs a bit big, I do love the length and the cute knot detail. This is the apricot color but it is definitely more of a beige! Leggings (Size: XS // Color: Pearled Rose: // Price: $25 ): I am obsessed with these leggings and want them in every color!! They are so silky soft and extremely breathable. They have a high waisted fit which I love and are so comfortable. This is the pearled rose color and it is currently sold out, hoping they restock soon, but in the meantime check out the other 20 color options! Top (Color: White // Size: Small // Price: $19): My favorite henley in short sleeve form! How cute is this top for spring and summer?! It is such great quality and I love that it can be knotted up. 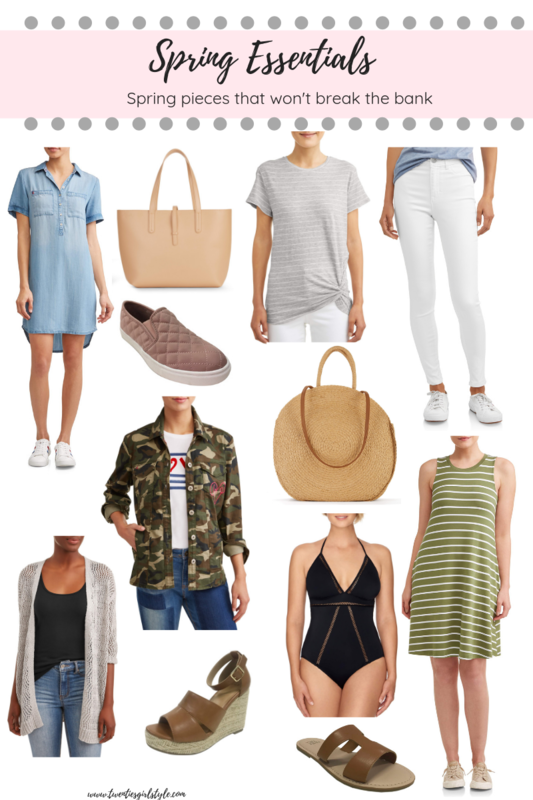 This is one of those tops that is a closet staple. It can be worn from season to season and is perfect for layering or wearing alone! 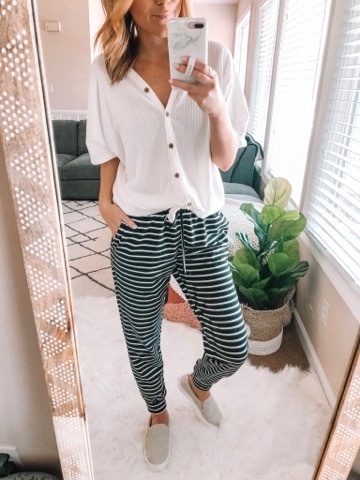 Joggers (Color: Black & White Striped // Size: Small // Price: $20): I love love love these joggers! I have been wearing these cuties SO much lately! 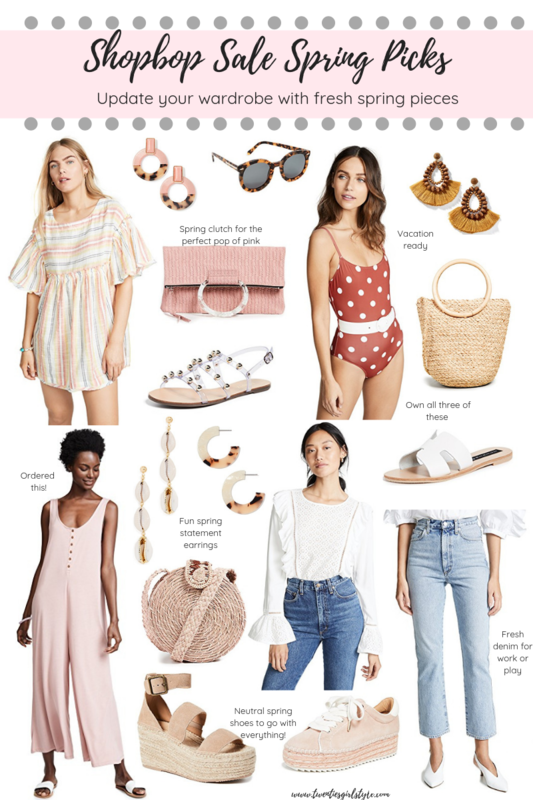 I love the fit and the lightweight material, which is perfect for the warmer months ahead! These are my favorite pants of lounging! Oversized T-shirt Dress (Size: Medium // Color: Apricot-Pink // Price: $20): This oversized t-shirt dress is definitely oversized. It wasn’t available in anything smaller than a medium, so I decided to go for it seeing as I planned on wearing it as a dress. I was pleasantly surprised with this find. 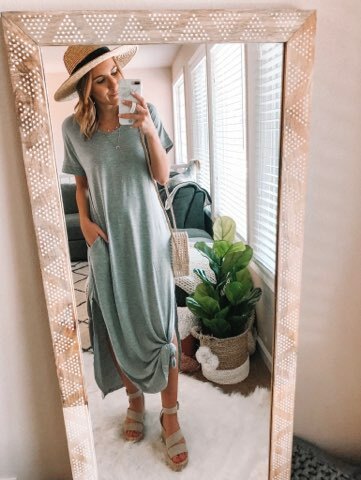 While it is very oversized, it makes for the perfect slouchy t-shirt dress. I love that the medium is not too short and oversized enough to wear off the shoulder. This is the apricot-pink color, which looks very apricot/beige on the site but is definitely more of a blush, which I actually prefer! Dress (Size: Small // Color: As Pic – AKA a Rosey Mauve // Price: $23): This dress is light weight and airy. This one could easily be dressed up or down. Any weddings this summer? This dress would make the perfect wedding guest attire option! The color of this one is “As Pic”, which I’m assuming means its the same color as the main photo. The color is a pretty dusty rose which I adore. I plan on wearing this one into the classroom once it warms up a bit more! 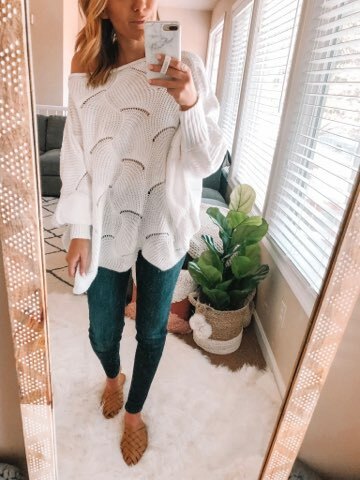 Sweater (Size: Small // Color: White // Price: $30 ): This was one of my pricier Amazon finds, but it’s definitely worth the price tag! This sweater is gorgeous and surprisingly airy. It’s oversized and can be worn on or off the shoulder. Swimsuit (Size: Small // Color: Green // Price: $29): This suit is THE CUTEST! I am obsessed with the color combo and the cute cutout on the front. It has the sweetest little bow detailing on the back and adjustable straps! This suit has moderate coverage on the back and fits true to size! Coverup (Size: One Size // Color: White 3 // Price: $22 ): This coverup is so pretty! The crochet fabric is gorgeous and I love the fun pom poms that add the sweetest touch! Pj Set (Size: Medium // Price: $17): This little pj set is one of my favorite Amazon finds. Avocado pjs? Yes please! I ended up sizing up to a medium as I don’t like my pjs to be tight. The bottoms are a bit big, but I definitely recommend sizing up! I just ordered these in another color and I’m so excited to get them!